Martha Martinez Gomez was born in Monterrey, Mexico and arrived in Houston at the age of four. She was raised in Magnolia and Kashmere Gardens and graduated with a Bachelor’s in Business Administration from the Bauer College of Business University of Houston in 1996. Martha serves as an advocacy coordinator for Child Advocates, Inc. and works with volunteers dedicated to breaking the cycle of abuse. In addition, she also served as a volunteer for ten years before joining the Child Advocates, Inc. team. Her realm of experience has focused on issues that affect children and families, such as poverty, health, immigration and abuse. She has had the opportunity to work in Houston’s local city government as a community liaison and with the federal government as a 2000 Census Oversight Committee Member and has also had the opportunity to do local grassroots work within a long standing local community center, The Ripley House. As an immigrant, Martha understands the importance that community based organizations and committed mentors play in the development of children and their families; therefore volunteering and mentoring has been a priority in her life. She is active in volunteering as a youth mentor for the Children’s Defense Fund, as a member of the Bauer Alumni Association - Community Involvement Group and as a board member for Navidad en el Barrio. She has been an active member of Navidad En El Barrio since 2002. It has truly been an honor for Martha to have the opportunity to volunteer for such organizations and particularly with Navidad En El Barrio. Not only is she working alongside her husband, Izzy Gomez and her four year old son, Nico, but she is also able to instantly see the happiness that these programs bring to the lives of children and families. Martha is happy and privileged to have the chance to give back to the community that has given her so much and hopes to do this for many years to come. Executive Director - Retired HPD Officer Israel "Izzy" Gomez, Jr. Officer Israel Gomez, Jr., the son of immigrant parents, was raised in Laredo, Texas by his mother after his father passed away unexpectedly in a construction accident. After serving four years in the United States Navy, Israel joined the Houston Police Department in 1981 and retired after twenty three years of service. He is married and has five children, Becky, Gabriel, Jacky, Israel, III and Nicolas. He is also a small business owner and president and founder of Navidad En El Barrio. Israel has been active in several other organizations including the Texas Special Olympics Law Enforcement Torch Run, the National Latino Peace Officers Association, the Houston Police Organization of Spanish Speaking Officers and the Houston Police Hispanic Officer of the Year, Inc. Committee. He has also been a volunteer for the Houston Livestock and Rodeo Show and has served as a counselor at Anytown's yearly camp and a Boy Scout Troop Scoutmaster. Israel attends St. Matthew Catholic Church and is currently a member of the Knights of Columbus. 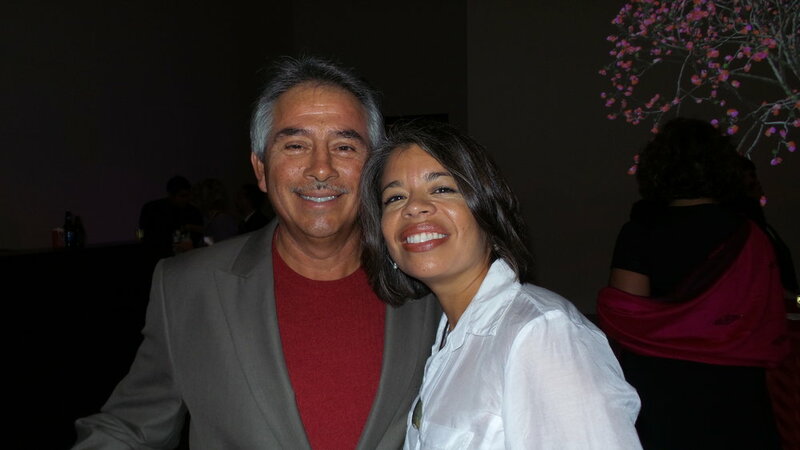 He is a Board Member for the National Hispanic Professional Organization and serves as a Court Appointed Special Advocate for abused and neglected children living in foster care. Israel's commitment to help under privileged children was realized while he was assigned to Ripley House Police Community Office in 1985. While there, the Rainbow Baking Company made a $5,000.00 contribution and asked that Ripley House host a party for children. Little did Israel know that the party he created would become a foundation that has supported children and families for 22 years. One of Israel's dreams was to take Navidad En El Barrio to his hometown, Laredo, Texas. That was accomplished with the help of Sheriff Juan Garza, who accepted to host the first Navidad En El Barrio in 1998. It has now become an annual event that supports 2500 children and is hosted by Constable Rodolfo Rodriguez, Precinct 1. Israel's dreams and efforts made it possible that the first Navidad En El Barrio take place in San Antonio in 2001 and in Nuevo Laredo, Mexico in 2003. While Israel is active in different organizations locally and nationally, Navidad En El Barrio takes precedence in his life. He feels that with Navidad En El Barrio he is answering God's call to help those in need. He realizes that without the Lord's guiding hand, the assistance and support of family and friends, this would not have been possible. Israel has always instilled in his children the importance of helping those less fortunate, and is proud of the fact that his children have always participated in Navidad En El Barrio's programs and activities. Israel is optimistic and hopes NEEB will expand into its own building that would house a food pantry, resource center and furniture bank. In addition, Israel would like to include classroom presentations ranging from crime prevention, leadership and the importance of community involvement. He also wishes to acknowledge and thank the NEEB Angles that have made it possible to touch the lives of those in need and continue to put smiles on children and people who might otherwise have lost hope. Angelica Landa is an attorney in private practice in Houston, Texas. She has been practicing in the Houston metropolitan area since May, 1984. She has been an active member of Navidad En El Barrio since its first Christmas program in 1987. She has served in different capacities on the Board of Directors and is currently the Vice President of Navidad En El Barrio. She collaborated with our President, Israel Gomez, Jr. to ensure that Navidad en el Barrio would be given the non-profit 501(c) (3) status. 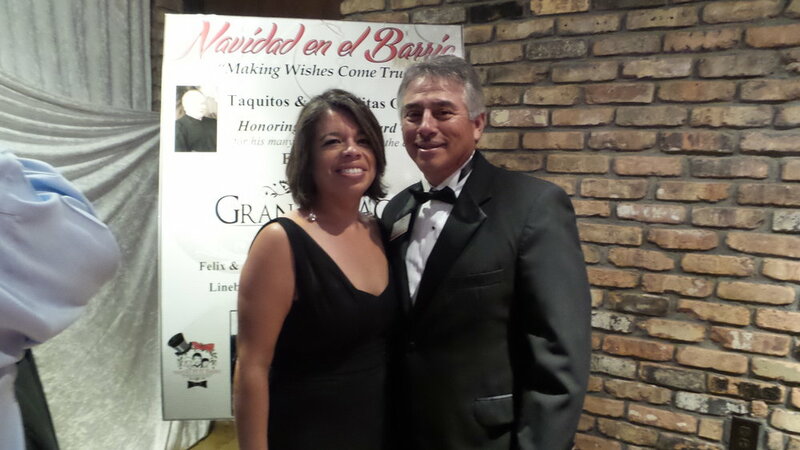 A former partner in the law firm of Dovalina, Eureste, Villarreal & Landa, L.L.P., Angelica was instrumental in getting the firm to do a toy drive at their annual Christmas Party. Thanks to the firm’s efforts and their guests, Navidad En El Barrio has received thousands of toys and monetary contributions at their annual Christmas party. Angelica believes in giving back to the community. A former volunteer at M.D. Anderson Hospital, she especially loves working with children. She has been a mentor at different schools in the Houston area and loves serving as guardian ad litem of children in custody disputes. She is also one of several Navidad En El Barrio members who visit underprivileged children throughout the Houston area on Christmas Eve. Angelica’s brother, Victor M. Landa, a Houston Police Department Sergeant, serves as Navidad en el Barrio’s “Santa Claus” in the different Christmas activities. Serving as Vice-President of Navidad en el Barrio has been an honor to Angelica. Navidad en el Barrio is very near and dear to her heart, and she hopes to be active with the organization for many years to come.